There has been a lot going on lately, most of it not so good and I just don’t want to talk about it. Or type about it. Or even put it on Facebook. I don’t want to talk about how my sweet dog, Loki is suffering from stage 3 chronic renal failure. I don’t want to talk about how she needs subcutaneous fluids three times a week for the rest of her life. I don’t want to talk about how we are constantly failing to administer her fluids successfully at home and have to keep running to the vet and will probably just give up and have the vet do it every time. I don’t want to talk about how utterly distraught I am over this. And I know it’s not very constructive, but I don’t want to talk about how I feel about anything — I’d rather break something with a loud, crashing noise. So, instead, I’ll show you a few pictures I took of some of the things growing on the deck. 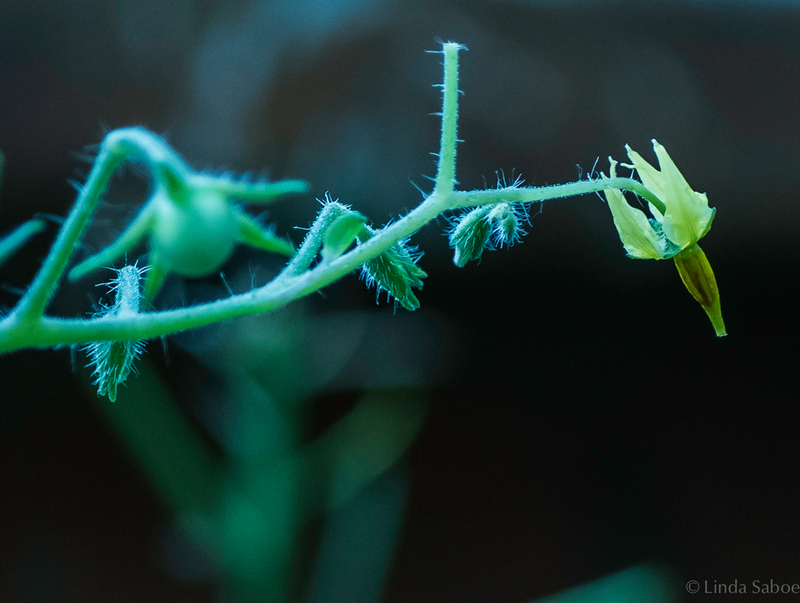 This one is a closeup of a tomato flower which will hopefully turn into a sweet little plum tomato. 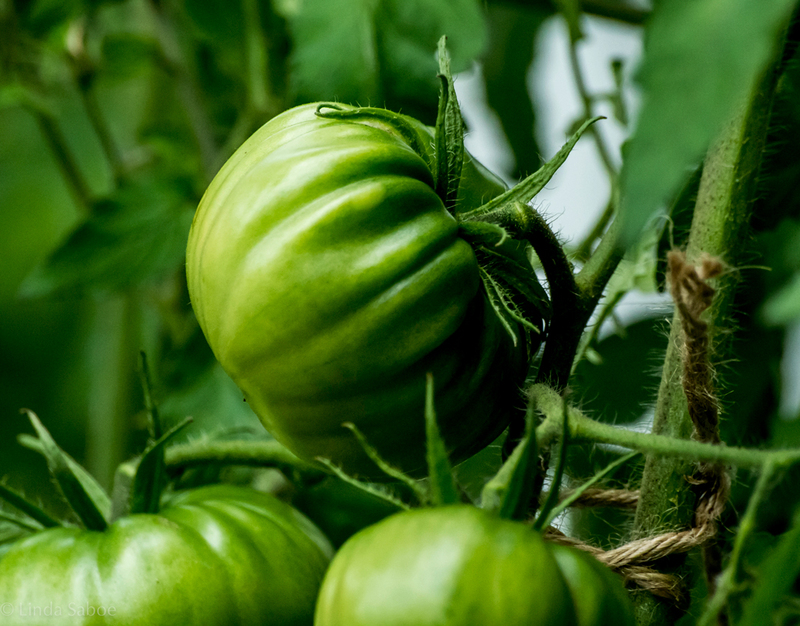 And then there’s the opposite end of the deck-tomato spectrum with this huge, not yet ripe Black Krim. 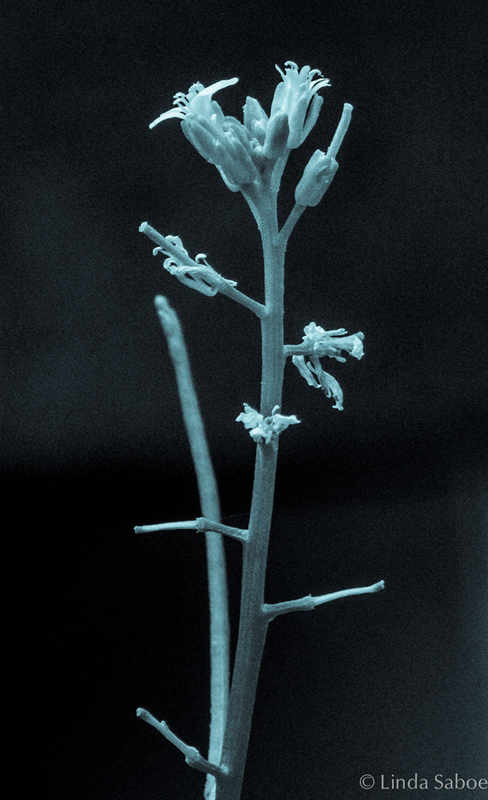 These very tiny flowers of watercress are looking all artsy-mysterious dressed in a cyanotype filter. This entry was posted on Tuesday, June 23rd, 2015 at 2:27 pm	and posted in dogs, photography, photos, plants. You can follow any responses to this entry through the RSS 2.0 feed.